Well, that’s CITES CoP16 over. It’s been an historic two weeks for marine and timber species. Hard-fought battles that commenced years ago have come to a constructive and logical conclusion in the interests of sharks, manta rays and rosewoods. 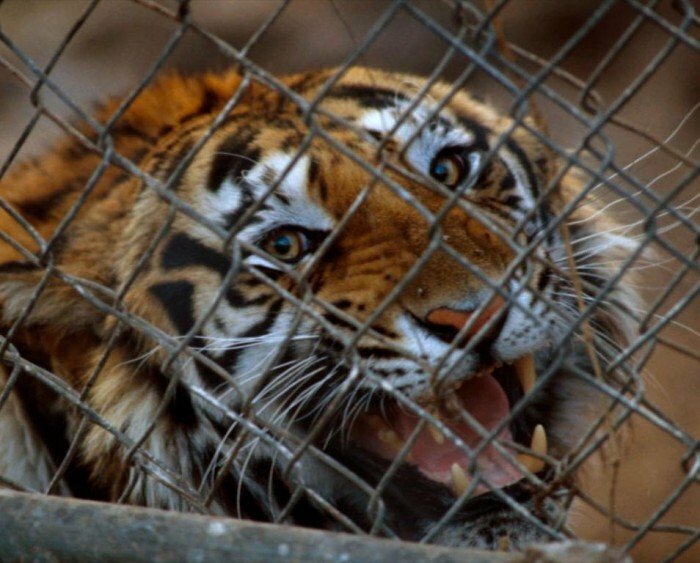 For Asian big cats, there was a good decision that will direct the CITES Secretariat to oversee a review of efforts to combat illegal trade and to end trade in parts and products of captive-bred tigers. China, Indonesia and Thailand wanted to drag out the process, waiting until 2016 and CITES CoP17 before they would come under the microscope, suggesting that they’re too busy reporting to the Global Tiger Recovery Programme (GTRP) already. Of course, the GTRP does not cover all Asian big cats, nor does it cover tiger farming and trade, and there are no repercussions if they fail to report to the GTRP. As the CITES Secretariat pointed out, it’s been a long time since there was adequate reporting and a thorough examination of where we are in ending trade and demand for Asian big cat skins, bones and other body parts. India, the USA and the EU argued that the situation is critical, with India reminding Parties that there are only a few thousand wild tigers remaining. EIA and colleagues will be working to ensure CITES gets back on track and that Parties show the world how much they are really committed to saving the wild tiger. That said, the threats facing the tiger really didn’t get a good airing at CoP16, with much of the work done behind the scenes. Over the course of the 10-day meeting there was only about 15 minutes available for Parties to intervene from the floor to share their concerns with the rest of the international community. Unfortunately, there was no time at all for non-government organisations to speak out. EIA supports the proposal by the CITES Secretariat, and a deadline for delivering a review of the current situation by the 65th CITES Standing Committee. We remain concerned, however, over the lack of implementation of existing CITES requirements regarding trade in captive-bred tiger parts. We know from seizures in Thailand, Laos and Vietnam that there is international illegal trade in such specimens. Further, in the report circulated by EIA at this meeting, we have documented the licensed trade in the skins of captive-bred tigers in China, where tiger skins have been turned into luxury rugs for home décor, not for scientific and educational purposes. This desire for skins as luxury home décor has become fashionable as a sign of status. This perpetuates rather than eliminates demand. The skins of wild tigers, leopards and snow leopards are also destined for this end use, which is evident in the way they are prepared as rugs, with wealthy buyers travelling from across the country to buy them in well-established trade hotspots. 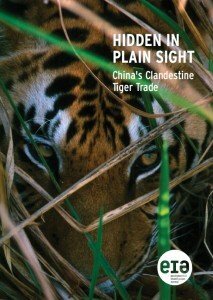 It is evident too from reports from range states, where poachers have been commissioned to obtain tiger skins. This demand for skins has nothing to do with tradition; it can and must be eliminated. The misguided theory that trade in captive-bred tiger parts would alleviate pressure on wild tigers has failed in practice. Legal trade is stimulating demand and resulting in poaching and illegal trade. We urge the Parties to call for full compliance with the resolution and associated decisions to achieve an end to all trade, in all parts of the tiger, from all sources.